Travel time from Seattle is about two hours, and from Bellingham about one hour 20 minutes. Be sure to plan your travel to Whidbey Island as it can be impacted by peak tourism seasons. You have a few ways to access Camp Casey and each is unique and memorable. From the south and taking the ferry from Mukilteo, take I-5 North to exit #182 Mukilteo Ferry toward Clinton and Whidbey Island. Once on Whidbey Island in Clinton, travel north 22 miles on Highway 525. Turn left at the sign for Fort Casey State Park. 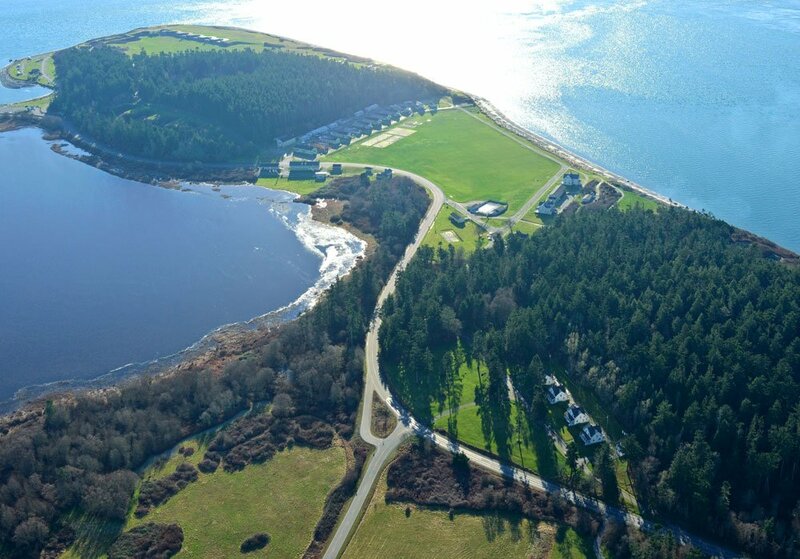 Proceed 4 miles — past the Coupeville Ferry dock and the entrance to Fort Casey State Park — until you see the large playing fields and barracks of Camp Casey on your left. From the north (or from the south and would like to avoid the ferry), take I-5 to exit #230 toward Anacortes/Whidbey Island. Turn west off the exit to Highway 20. After 11 miles, turn left toward Oak Harbor (still Highway 20) and continue through Oak Harbor to Coupeville. At the pedestrian overpass over Hwy 20, turn right onto Main Street, which becomes Engle Road. Proceed 3 miles to Camp Casey. From south of Tacoma or from the Olympic Peninsula, take Hwy 101 toward WA-20 or WA-19 toward Port Townsend. Board the ferry in Port Townsend (reservations recommended). Turn left once off the ferry. In less than 1/2 mile, you will see the large playing fields and barracks of Camp Casey on your left.